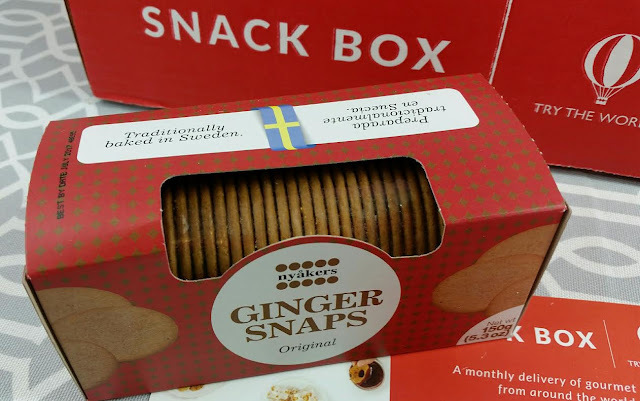 Nyakers Ginger Snaps- Thank you Sweden for this wonderful treat. 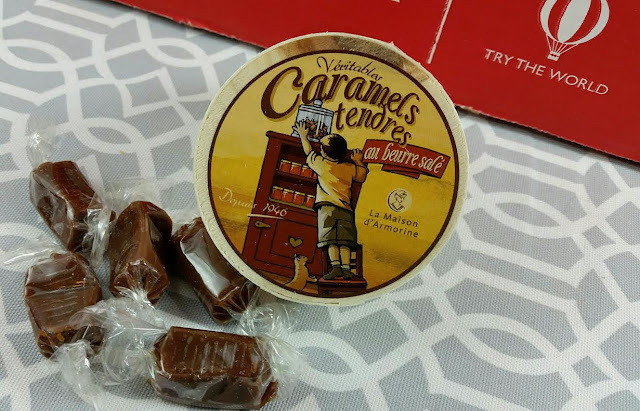 I've loved gingersnaps forever and these super thin, crispy ones are my favorite. These are gingertastic and disappearing quickly. Yum! 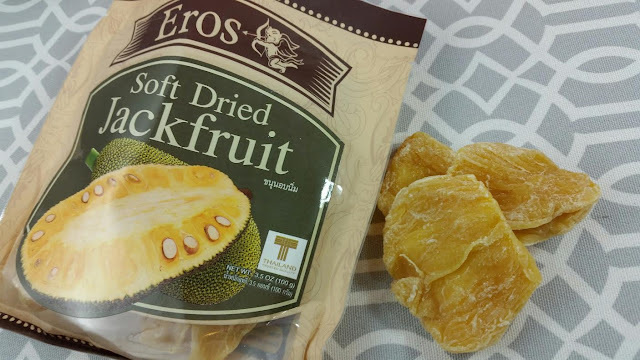 Eros Dried Jackfruit- I'm not even sure what a jackfruit is but it's found in Thailand. These are large dried pieces and they're somewhat addicting. I can't describe the taste beyond light and sweet-ish. It's rich in fiber and vitamin A, too. 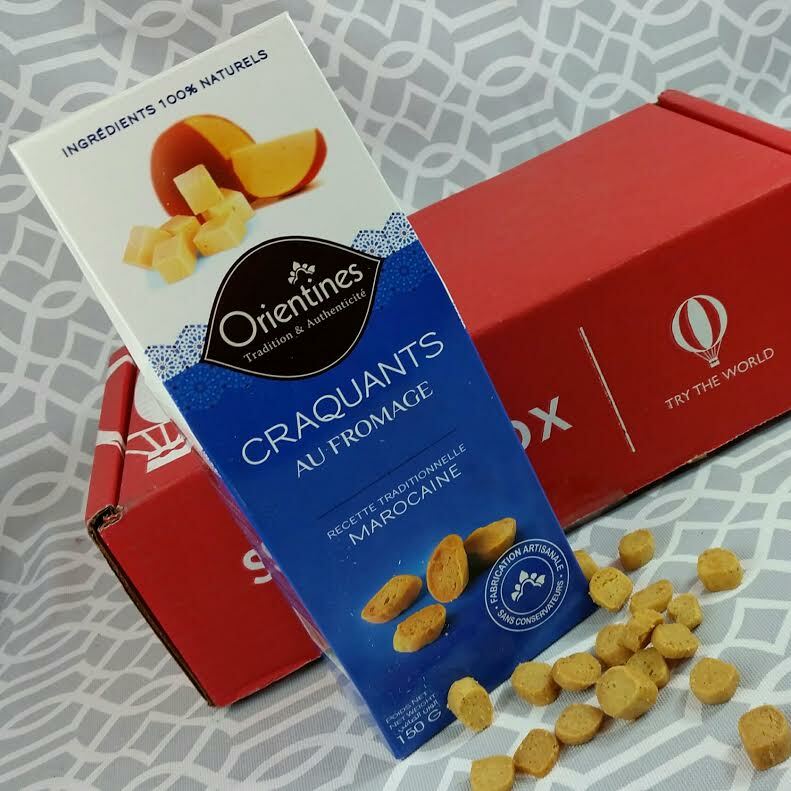 Orientines Craquants Au Fromage- Cheese crackers. These are made in Morocco with all natural ingredients. They're pretty tasty and can be eaten as a snack or paired with wine and cheese. I wonder if they're good with hummus. I'll have to test it. G. Cova & C. Biscottini- This is a very light and crumbly biscottini. I'm sure it's packed with butter. They're delicious! And look how many you get! 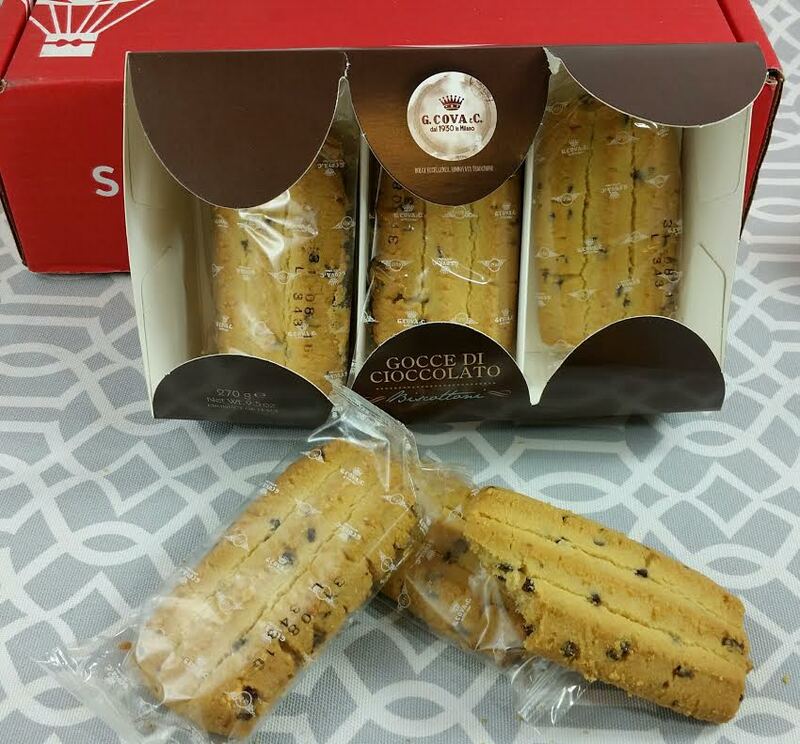 Twelve individually wrapped pieces! I need to go make some hot chocolate to dip them in. 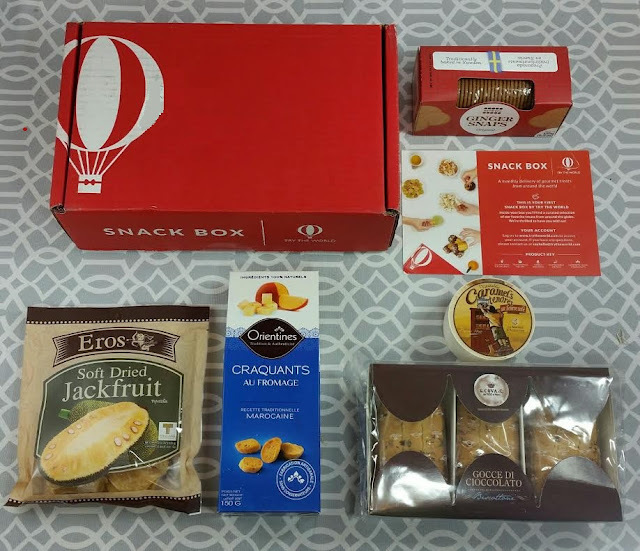 VERDICT: I am very impressed with the Snack Box from Try the World! The sizes of the products included are amazing! I love getting large size snacks. I can't believe this box is only $15. I got to try some strange new foods which is fun and I like the fact that there are a variety of countries represented, too. 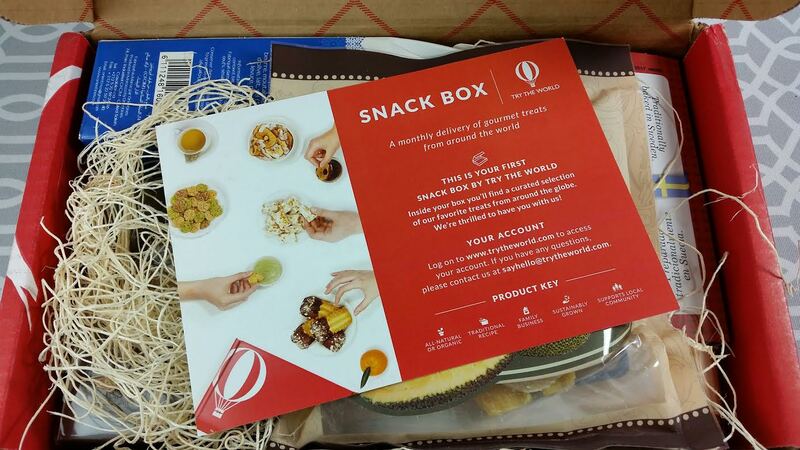 If you would like to sign up for Try the World's Snack Box, you can do that here. Use coupon code bitsandboxes for 15% off your order. Have you tried this Snack Box before? What did you think?